Driven Sound & Security in Negaunee is a leader in driver safety products. 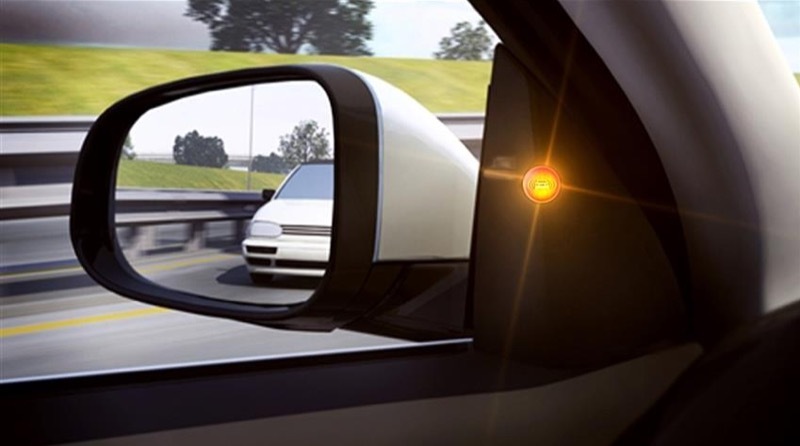 One of our most popular categories is blind spot detection. 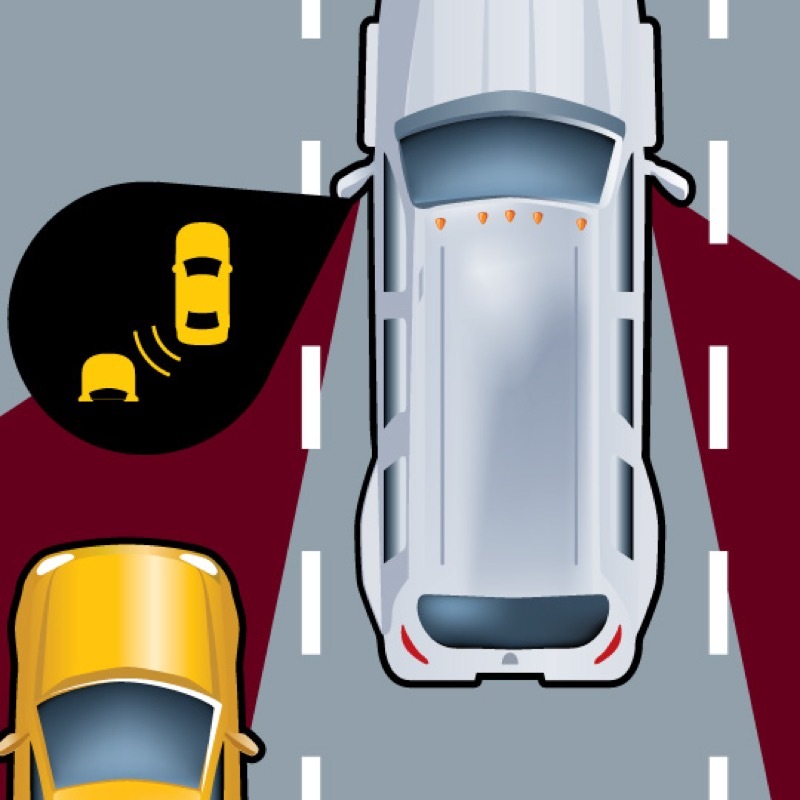 These are products designed to alert you of a vehicle in your blind spot while you’re driving. In this day and age of distracted and stressful driving, we have all experienced starting to merge to another lane, only to find another vehicle already there. Our systems help eliminate this scenario, which can have devastating consequences. We break down our packages into two distinct types: sensor-based and camera-based systems. 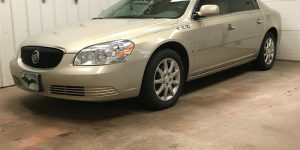 Our first type of system uses two radar-based sensors that get installed behind your rear bumper, one on each side of the vehicle. Inside your car, truck or SUV, we install a visual indicator on each side in easy view of the driver. We also install a hidden speaker for a secondary alert. When you are driving up the road and someone comes into your blind spot on your left side, the indicator on the left side will illuminate. Should you activate your left turn signal, an audible alert sounds as a secondary warning that someone is in that blind spot. The same thing happens if someone comes into your blind spot on the right side of your vehicle. First you the indicator lights up. If you turn on your right blinker, the audible alert now sounds. It is a very simple, yet effective, method to help you determine whether it is safe to change lanes. 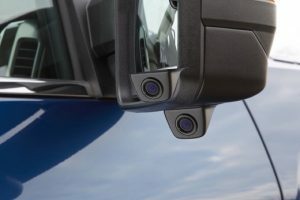 Our second style of system uses cameras to give you a visual indication of someone in your blind spot on either side of your car, truck or SUV. When you are driving up the road and turn on your left blinker, you will see the image from the left camera. Should you activate your right blinker, the right camera image is displayed. Now you can see if another vehicle is in the lane you want to merge into. 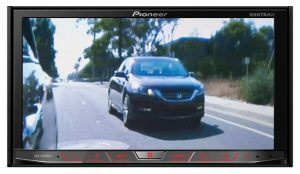 If your vehicle came equipped with a color screen, chances are good we can integrate the blind spot cameras to display right there on your dash. Another popular option is a replacement rearview mirror that has an embedded LCD monitor in it. 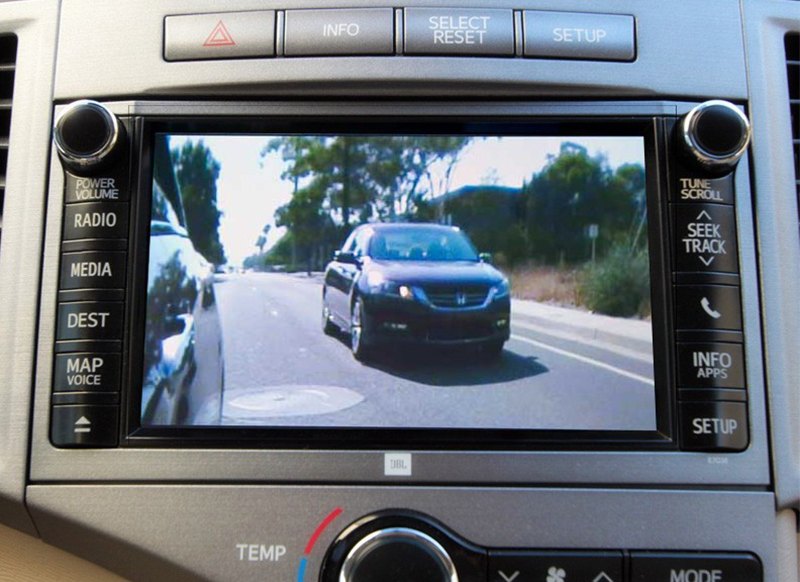 When you activate either blinker, the monitor comes into action, displaying the image from the appropriate camera. 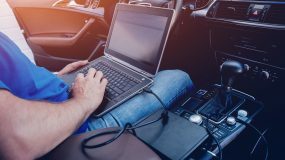 Some people drive older vehicles or models that lack a lot of technology. 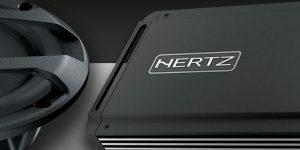 If you have always wanted modern technology in your dash, such as GPS navigation, Apple CarPlay, Android Auto, Bluetooth, SiriusXM, a backup camera or USB ports, upgrading your stereo system may be perfect for you. 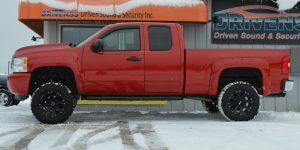 The team at Driven Sound & Security will install a new touchscreen stereo system that has a full-color monitor to display the images from your blind spot cameras. If you own a commercial vehicle, a popular option is adding a stand-alone monitor to display the camera images. 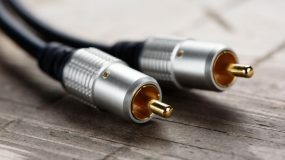 We have several different sizes with multiple mounting options, so we are sure to have a solution that will work for you. 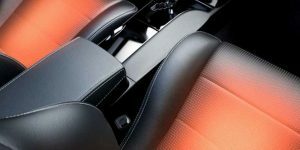 When you have us do work for you, you get reference-standard installation methods that meet or often exceed those of a vehicle manufacturer. Every part of your installation is designed to give you years of reliable service. When you want it done right the first time, you can count on us. The next step in getting a blind spot detection system for your vehicle is to schedule a driver safety consultation by calling us or clicking HERE. One of our team will set up a time to meet with you, look over your vehicle and understand how you use it over the course of an average week. We then take all that information and design the best solution for your unique needs. We look forward to seeing you.